Happy Mole Day! If he sees his shadow, we’ll have 600 sextillion more days of spring. Today is Oct. 23, which in the U.S. is written as 10/23. That means it’s Mole Day! 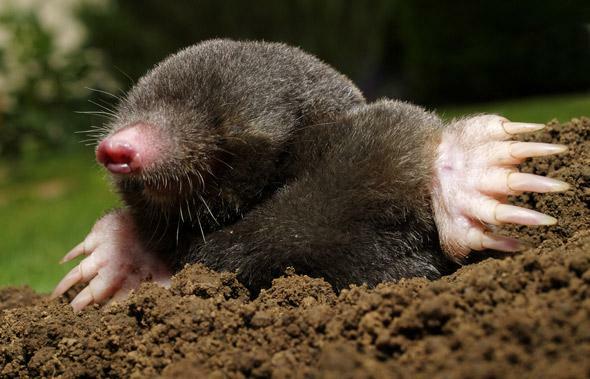 For the nongeeky, nonsciencey types out there, a mole is a number used in chemistry quite a bit. It’s used to measures the number of atoms or molecules in a sample, and it equals 6.02 x 1023—a pretty hefty number. Note the exponent; that’s where today’s date comes in (Mole Day is celebrated from 6:02 a.m. to 6:02 p.m., by the way). I’m a number nerd, so I love this stuff. If you’ll indulge me, I’ll be happy to explain. On the smallest scale, chemistry can be pretty simple. A molecule of water has two hydrogen atoms and one oxygen atom. Imagine you have, say, ten atoms of hydrogen and five of oxygen. If you could combine them, you’d get five molecules of water: 5 H2O. Great! Now I give you a sealed jar of hydrogen and another sealed jar of oxygen. How many molecules of water can you make? Well, it’s suddenly not so easy, is it? You could weigh the two jars, account for the weight of the jars themselves, and figure out how many grams you have of each element. But then how do you figure out how many molecules of water you’d have? After all, an atom of hydrogen has a different mass than an atom of oxygen—hydrogen is way lighter than oxygen, so a gram of hydrogen has far more atoms than a gram of oxygen, for instance—and you need to know how many atoms of each you have before you could figure out the amount of water you’d get. Avogadro himself. Happy Halloween. Click to enmolenate. Photo from the Edgar Fahs Smith collection via wikimedia. This gets sticky fast. And it was worse hundreds of years ago, when we didn’t have atomic theory. 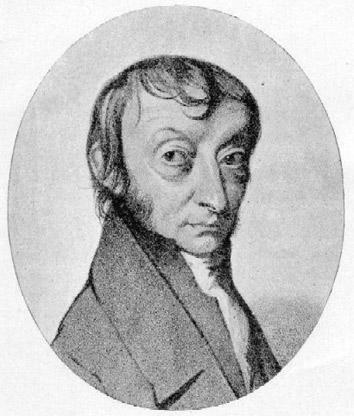 Enter Amedeo Avogadro. He was studying chemistry back in the 1800s and saw (for example) that if you want to make water with hydrogen and oxygen and wanted no gas left over when you’re done, you need exactly twice the volume of hydrogen gas as you did oxygen. From that he deduced that equal volumes of gases (at the same temperature and pressure) have equal numbers of molecules. In other words, if you fill one balloon with oxygen, and another with hydrogen, and another with sulfur hexafluoride, as long as the volumes are the same (as well as the temperature and pressure) each balloon will have the same number of molecules in it. Of course, the next question is obvious: How many molecules do you have in a given volume? What we need is a number that can convert one to the other. Think about that for a second: This number, whatever it is, connects the microscopic world of an atom to the macroscopic world of humans! This is an important number. What should it be? There are a lot of ways to figure this number out, and historically quite a few have been pursued with great success. But in the end, scientists converged on a definition. When you need to figure out a basic number, it’s best to use basic units. There are lots to choose from, but in modern times (in 1961, actually) scientists chose the carbon-12 atom for this. It’s stable and abundant, so why not. It’s made of six protons, six neutrons, and six electrons. Electrons are teeny tiny, so we can ignore them, and a neutron has about the same mass as a proton. So what scientists did was to make a new unit called an atomic mass unit (or AMU), and say that it was equal to exactly one-twelfth of the mass of a carbon atom. It’s very close to the mass of a proton, but a wee bit smaller. On the human scale side of things, scientists like to use grams as a mass unit. So they then asked, “How many AMUs are in a gram?” This then will be our Big Important Conversion Number. And the answer? Spoiler alert: it’s 6.0221413 x 1023. Woohoo! So that number is now our standard conversion. There are 6.0221413 x 1023 atomic mass units in a gram, and if we measure atoms and molecules in AMUs, we can easily convert numbers of them into grams of material. Chemists do this all the time, which is why the number is so important. That number needs a name, so let’s call it a mole, short for “molecule”, because why not. That’s the official unit name, but it’s also commonly called the Avogadro number, or the Avogadro constant. And that’s why today is Mole Day. Voilà! Yay! Now we know where the number came from, and why we have this geeky informal holiday. So, how do we use it? Remember, this whole thing came up because Avogadro figured that equal volumes of gases have the same number of molecules in them. Now we can hang an actual number on that! A mole of any gas has the same volume, and it turns out that at sea level and 0 degrees C (what’s called standard temperature and pressure, or STP) that volume is 22.4 liters. So if you have a balloon that holds 22.4 liters, then you can know that it has a mole of molecules inside it. Doing a bit of math, I get that the balloon (assuming it’s a sphere) would be about 35 cm across, or just over a foot: about the size of a party balloon. Huh. How about that! 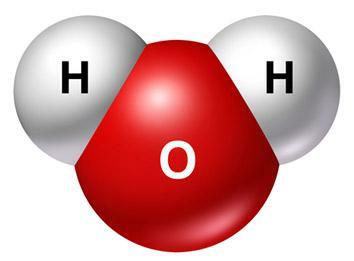 A water molecule has two atoms of hydrogen and one of oxygen. Here’s another example: We know that it takes two moles of hydrogen (so a mass of about two grams) combined with one of oxygen (a mass of about 16 grams) to make a mole of water molecules. So a mole of water has a mass of 18 grams (about two-thirds of an ounce). Since a cubic centimeter (about the size of a six-sided die) of water has a mass of one gram, it would take 18 cc of water to get a mole. Imagine! When you drink an eight ounce (236 cc) glass of water, you’ve just imbibed over 13 moles of water molecules: 8 x 1024 of the little beasties in just a few gulps. So just how big is this number? Yeah, that’s pretty big. In words, 1021 is a sextillion, so Avogadro’s number is more than 600 sextillion. If you prefer, you can also say it’s 600 billion trillion, or 600 million million billion. I’m sure you can come up with more. And I’m also sure a lot of my readers are even now pushing their glasses up their noses, and in their best Comic Book Guy voice are saying, “This is so obvious. I knew all this!” Then let me ask you this: Did you know that there are very roughly a mole of stars in the visible Universe? Or even weirder: the Sun is very roughly an Avogadro’s number times brighter than the faintest object ever seen using Hubble. If someone tries to outnerd you today, then feel free to pull out those little stats. I bet you’ll win. And that is the true spirit of Mole Day. Have a good one. 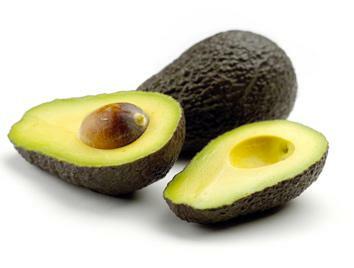 To celebrate, make some guacamole, and use a mole of avocados. How much is that? At 200 grams per avocado, that bowl of guac would outmass the Moon. And that’s not even counting the green cheese. If you’re as big a number nerd as I am, you might like to read my Pi Day post, too.